The Jews who lived in Galilee 2,000 years ago were multicultural, archeologists said after examining names written in Greek on the ossuaries found in a millennia-old Tiberian catacomb in Israel. Judging by its architectural style, the Roman-era burial cave, accidentally discovered in the northern Israeli city of Tiberias earlier this month, is about 20 centuries old. Found inside the mausoleum, apparently belonging to an affluent Jewish family, were, among other things, a number of boxes made of stone and clay used for the secondary burial of bones. The boxes, or ossuaries, prove beyond any reasonable doubt, that the catacomb belonged to Jews. Why? Because during the Roman era, nobody else is known to have practiced secondary burial. 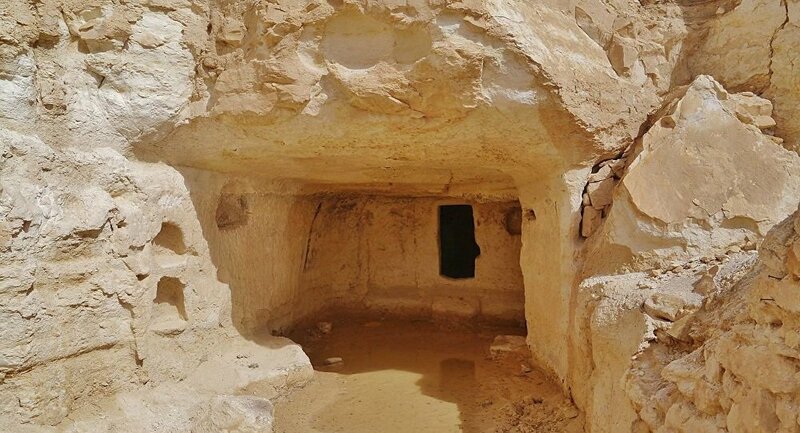 “One single case is known in Israel of a non-Jewish secondary burial in an ossuary — a Nabatean. Maybe it was a Nabatean who was influenced by the Jews,” archaeologist Mordechai Aviam of Kinneret College told Haaretz. “It just means that the people buried in the cave had been people who knew Greek. It doesn’t speak to their Judaism but to their internationality, their multiculturalism,” he added. Secondary burial means that the deceased was put inside niches carved into the cave’s walls until the body decomposed. The bones would then be placed in stone boxes and laid to their final rest. The archaeologists have also determined that the names of the dead, carved onto the ossuaries are in Greek. Security guards have been posted outside the carved stone doors at the entrance to the cave to protect it from possible grave robbers and vandals.